We've thought of everything. Especially of you. For whom, how and why? Capela das Artes Hotel is a privileged environment where it feels good to come back after a day of visits in Algarve. 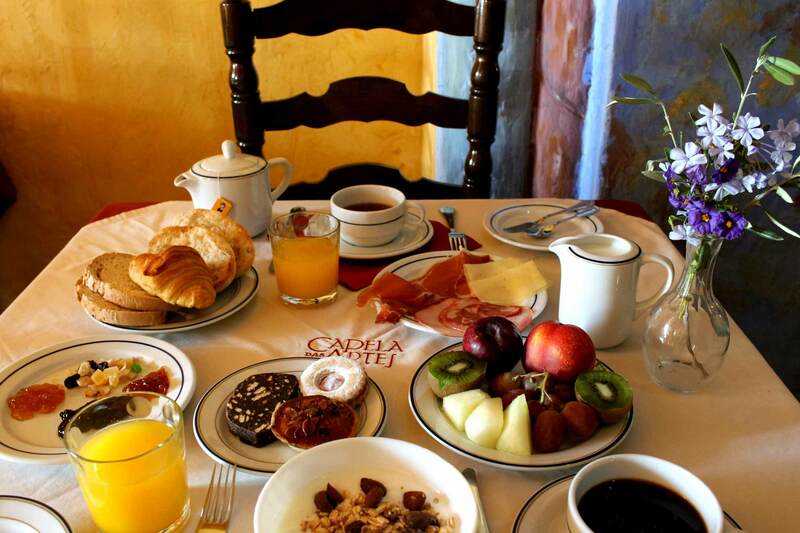 Begin your day with a delicious breakfast, enjoy the swimming pool, take a stroll down the garden with its multiple local essences, read a book on your private terrace, explore the domain and the house to discover their secrets, and plunge into their history… According to your wishes and desires, let yourself be carried away by the spirit of the place. Couples longing for a hotel where they can have time just for themselves, create memories, and share romantic intimate moments with their loved one. Any person needing a getaway from the stress of life, wishing to rest and experience peace and tranquillity. All people loving charm hotels, you will immediately feel at home. History amateurs, with a taste for old buildings, who choose authentic settings for their holidays. We have designed a place where you can give free rein to your desires. It’s your holidays! A human-sized hotel, with only 30 rooms on a large domain of 6 hectares . All is said! Space is the ultimate luxury. A unique and charming hotel, with a lovely garden gathering magnificent ancient olive trees : the perfect place to create timeless memories. Comfortable and quiet rooms, ideal to spend a delightful and romantic moment with your beloved one. 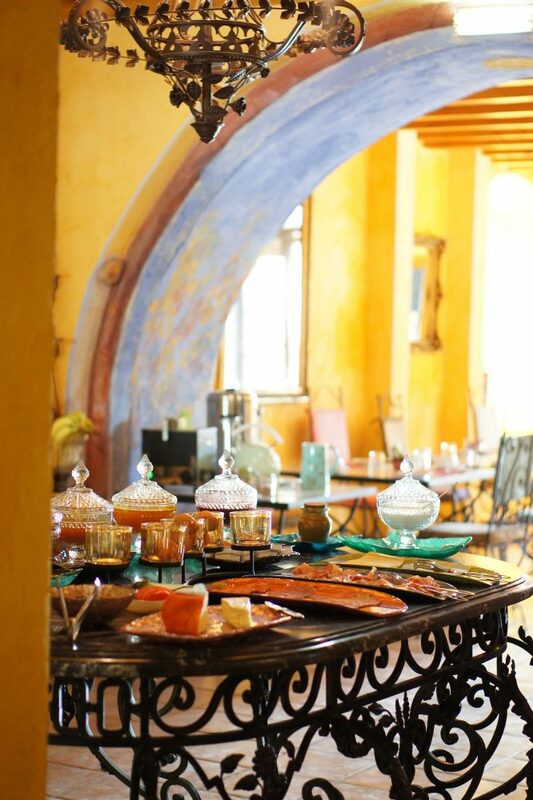 A warm welcome and a personalized service. We are always pleased to meet our guests and share our passion of Algarve. A simple and friendly atmosphere, because holidays are a time when you should feel free to be yourself. An ideal location to enjoy the beautiful assets of Algarve. The beautiful infinity pool is located in the heart of the garden, surrounded by olive and palm trees. 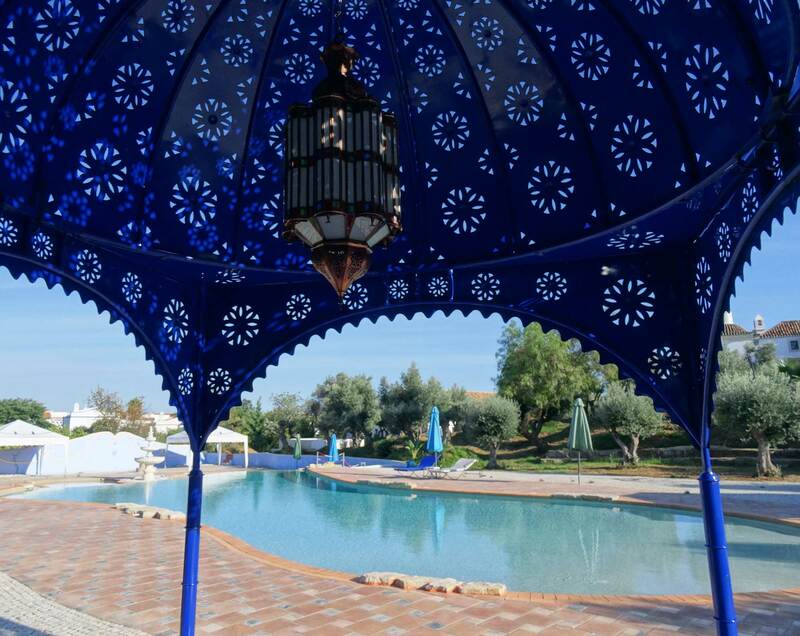 You can enjoy its two pools with waters heated by the sun throughout the day, or relax in the shade of one of its pergolas or tents with oriental accents. Here too, we designed a swimming pool large enough to offer space to each person. No problem of sunbed availability, no crowded pool. You can relax : you will find your spot. To get the day off to a good start! 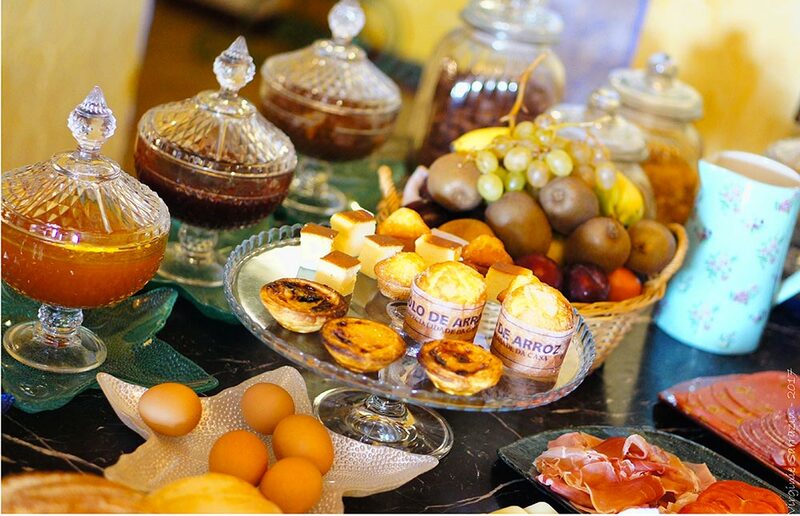 The breakfast buffet will be served in the Manor House of the XVth century or on the terrace. Several fresh fruits. Depending on the season, you will taste figs, plums, almonds, pomegranates from the garden. The speciality of the house : the fresh squeezed orange juice! 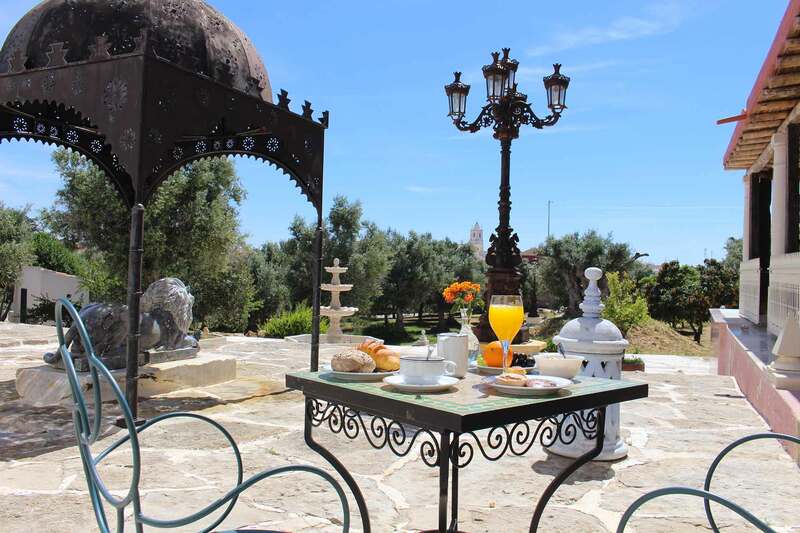 "Perfect welcome, park of centenary olive trees, spacious and impeccable rooms, rich and varied breakfast, a favorable place for relaxation and absolute rest"